Teenage group is my targeted group for development .After 10 to 15 years this group will take leadership in the world. When this group will be grownup with their ability, they will do better as their possibility. They will be awakening on time management. So they will do well for everyone. Most of the time we don’t do the work in development of a good leader. Causes of that, a leader is named but nothing is done to teach the leader to take initiative in doing and finishing the work done properly. A leader who wants his name and fame in work though his contribution is very low. In the world we are facing lack of good leadership. Without a good leader any work does not achieve targeted goal. It is like a boat in sea without sailor. In education sector of Bangladesh, it is clearly declare that primary education will be at grade 8 in education policy 2010, but we are developing the materials for grade 5.This gap only for a good leader. So I think a leader will be a dedicated and he has to be passion to work .We feel most of the leader have no these qualities. It is a great pleasure for writing a page on my dream. I spent my childhood in a local narrative tradition with 9 siblings. In position no 6 of siblings’ grown-up with responsibility to other siblings. My Father was government servant. So his income was limited to pay out us. Our requirement fulfillment was very difficult through my father. So from the environment I learned passion and sympathy to others. I am a student of the world, where I always learn and enrich myself till now. Even any one can be my teacher. In 1982 after 12 years schooling I took certificate course in education. I was moved to the capital city of Bangladesh, Dhaka. 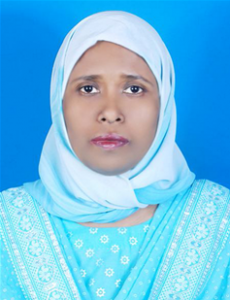 Here I started my professional career with teaching in Primary School; same time joined the University of Dhaka then finished graduation from University of Dhaka, Bangladesh. In 1987 I did master degree from same university, after that I joined as Assistant Specialist of National Academy for Primary Education and moved to at Mymensingh, Bangladesh. In 1995 I got married .After 3 years of successfully completion the job received promotion as Superintendent of Primary Teachers Training Institute (PTI) in 1996 then moving another town. My first child came to the world in 1997. PTI superintendent is a post of educational management and leadership. I was occupying the head of the Institute. As a head of the Institute, I conducted all management activities of the PTI. My major duties were – financial management, supervise the activities of teachers trainer and field level officers, classroom teacher in C-in-Ed course, Bachelor of Education course and PTI attached experimental school, work with national and international consultant, short course training manager, procurement officer, researcher, workshop organizer, work on child psychology, work with inclusive education, a trainer, a planner, conduct examination and participant assessment, making result. A new born baby at the time challenging position, it had been passing hardly since that time. In 2006 I joined PhD course in the University of Dhaka on ‘Gender development on education’ and degree awarded in 2010. Moving from one town to another, as my postings were changed at the whim of the higher authorities; presently working with textbooks and materials development at National Curriculum and Textbook Board, Dhaka, Bangladesh from august 2010 .It is for grade 1 to 5. I am a proud mother of two intelligent daughters which are studying in school level. They are teens. From there I devoted to work with adolescent girls. When I get chance to visit a classroom, I talk with the teens on their mental and physical development. There, try to make understanding on their energy in social development. If get chance to do something freely, at first I should do for young. I should make the questions with the help of teens for where their needs and how we can use them in social development. Most of the teens are abuse their time and energy in silly matters . They cannot use their time in appropriately. I will be create a global group by teens who will be self motivated and they will create the same. Survival groups make me interest with them. I feel interest doing something for the children. For the younger, this is the period of ravenous reading. I studied the novel hide from view of parents. My parents did not like to study others without school materials. I can pass free time in anywhere with books. In any long journey I feel comfort with reading books. Dolls House is one of my favorite books. Folk tales is also attractive topic to me. When I pressured mentally, read romantic novel, otherwise like to study all criticism volume. Always biographies of any people make my attraction to study.